Along with the many advantages of living in the cityThere are also significant shortcomings, for example, the lack of their own courtyard and garden. French designers Barreau & Charbonnet realized the charming idea of ​​arranging a small garden on the window even in the smallest city apartment without a balcony and a window sill. 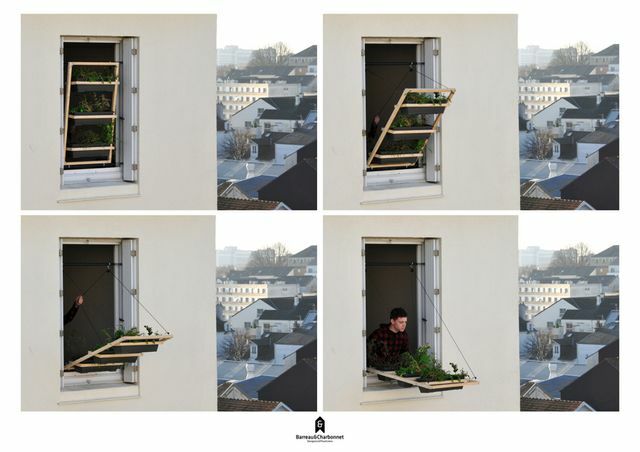 "Volet Vegetal" (literally from French -"Plant components") - a simple device that is attached to the outside of the window. There plants receive sunlight and rainwater directly, and the facade of the building looks more vibrant and lively. But the main feature of the garden is the opportunityChange of position from horizontal to vertical. 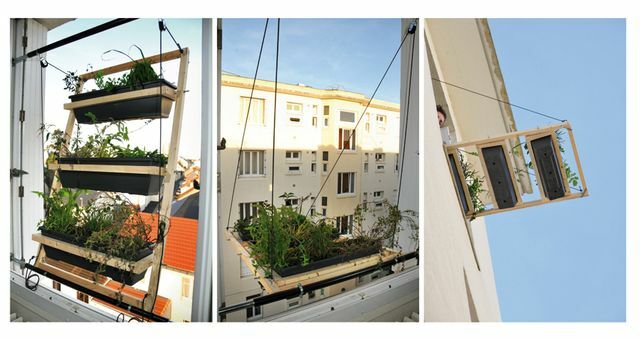 When the garden on the window is lowered to the street in a horizontal position, the plants receive the maximum amount of light, and at the same time, light freely enters the room. In the raised vertical position, the garden occupies the entire area of ​​the window, working as shutters. In bad weather and a strong wind so the flowers will be better. In addition, it is more convenient to care for and water plants when the frame is raised. This mobility is achieved through a pair of rollers, a strong rope and rotating trays built into the wooden frame. 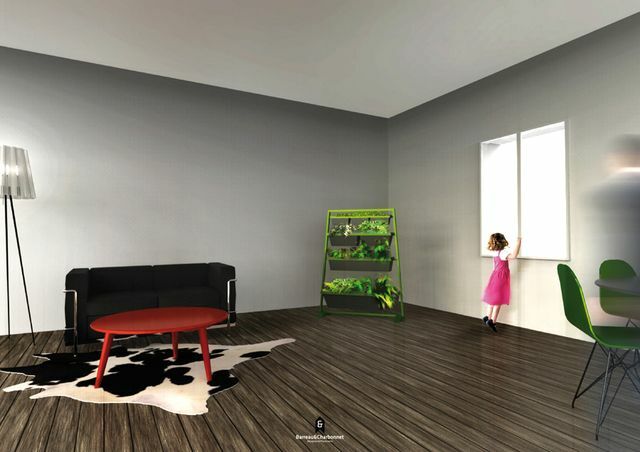 The creators of the concept also thought about the option of transferring the garden to the apartment during the cold months. The window frame can be converted into a floor stand for containers with plants.